Crathes Castle and Gardens influenced by the Arts and Crafts movement are a real jewel of a place. The castle, gardens and setting combine to stunning effect. 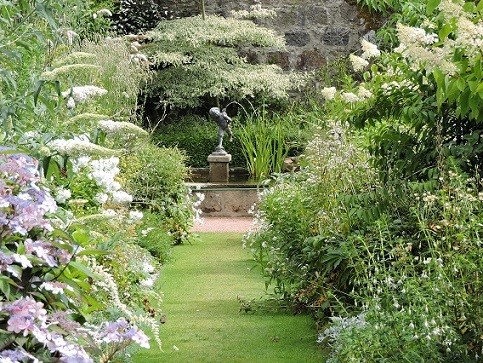 The 4 acre walled garden at Crathes Castle is one of the finest in Scotland and has been developed over 300 years. 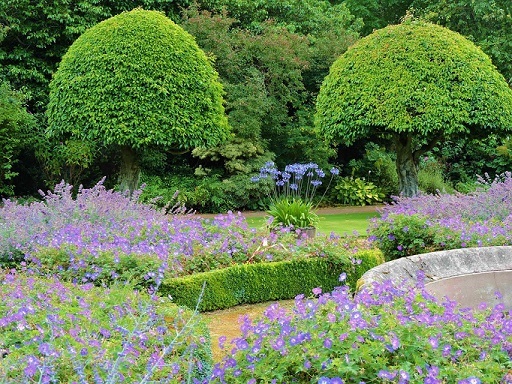 It is a wonderful example of the garden as a series of spaces. The garden is full of colour in the summer with beautiful borders including a white themed one which is seen as soon as you enter. 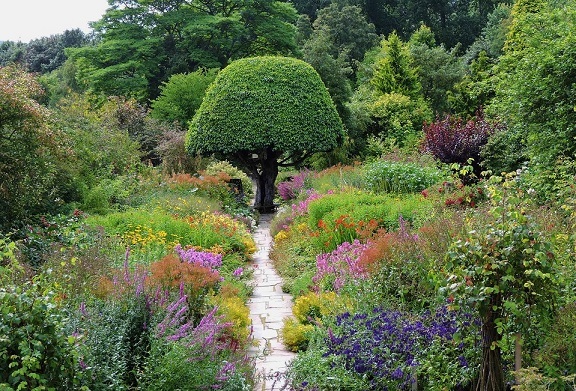 The garden was influenced by the Arts and Crafts movement. 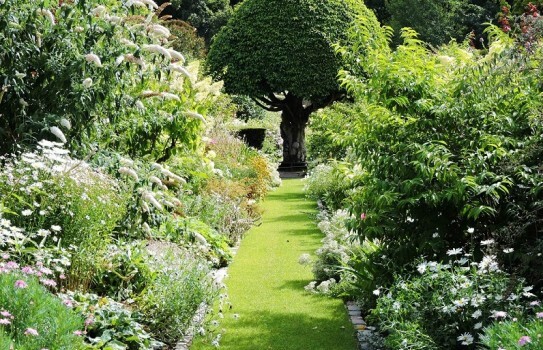 There are 8 garden rooms overall, each one with its own theme, including a double herbaceous border, the Red Garden, the June Borders and the Golden Garden. Portuguese laurels throughout the garden are clipped and give added interest and shape. A terrace gives a good overall view of the space with seats to contemplate the colours and shapes. Further on is a secret pool garden which has a great sense of tranquillity. There is a large greenhouse with a National collection of Malmaison carnations. Crathes Castle was built in the 16th century and has a wonderful interior which can be explored. Several Scottish Renaissance painted ceilings can be seen, as well as works of art, so make sure you leave enough time during your visit. The estate covers 530 acres with many different trails to follow, with something to see in every season. A wonderful place. Crathes Castle: Most of the year see Crathes Castle website for details. Gardens and Estate: all year, daily 9–sunset. If you want to find places to stay near Crathes Castle and Gardens, Banchory, why not stay in one of our recommended hotels. 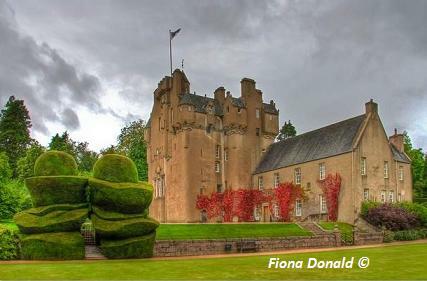 Look now for hotels near Crathes Castle - click here.